Want to know how to get the men at your Thanksgiving dinner to gobble up their veggies? 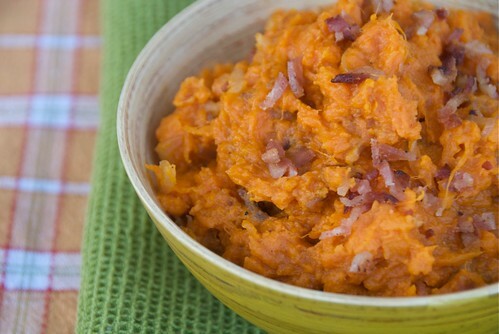 Well, at least their sweet potatoes? Go to Irreference, Quirk Books' nifty website to find out! 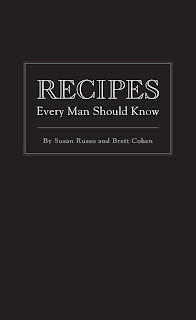 And while you're there, why not pick up a copy of Recipes Every Man Should Know? 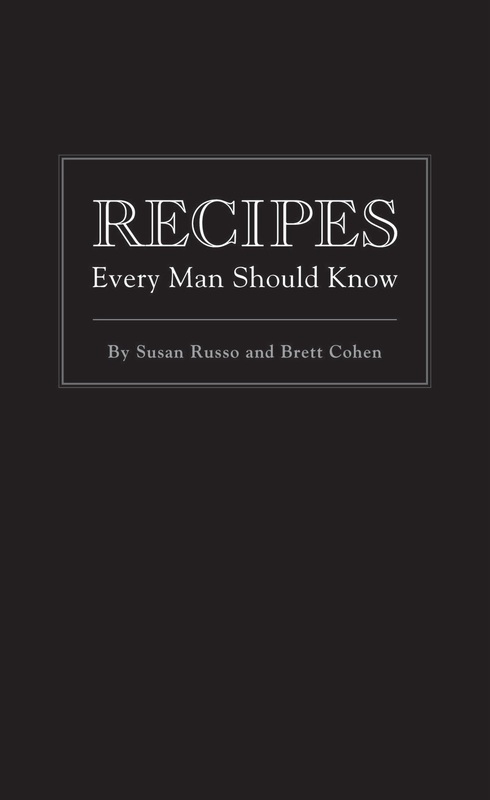 This little, black book is chock-full of over 60 easy-to-make, manly recipes. After all, it's never too early to do some Christmas shopping. i got my copy in the mail! my beau and i are going to each choose something from the book to cook for thanksgiving dinner this year. (we are orphans this year) we excited to try out the recipes! Not only does the recipe actually sound yummy (I mean, com'on... beer and bacon??!!) but this book rocks. I think I've just found my son's first Christmas present! Thanks. I love this book! The recipes and cooking tips in it are fantastic. It makes a great gift for guys. I bought two for our young men for Christmas presents. And my husband loves the recipes in this book. Mmm....very appealing! I would love to have some for lunch today..
elpi-Don't you just love dads? elaine-You are so sweet! Many thanks for all your support!